The Tehrik-i-Taliban Swat/Bajaur/Mohmand is an anti-state campaign formed as an alignment of the Tehrik-e-Nifaz-e-Shariat-e-Mohammadi (TNSM) with the Tehrik-i-Taliban Pakistan (TTP). Maulana Fazl Ullah, became the leader of (TNSM) after the organization was proscribed and Sufi Mohammad was imprisoned. In 2007, Fazl Ullah merged his group with Tehrik-i-Taliban Pakistan and emerged as a militant leader in Swat. He is also known as Mullah Radio for his illegal broadcasting of sermons and anti-government Islamic revolution on FM Radio in Swat and Bajaur region. He escaped from Swat after the military operation flushed out the Taliban in 2009. The group is a merger of TNSM and TTP, the ideologies of both aligned i.e. they endorsed violence to impose the Shariah in Swat valley. They wanted to enforce an Islamic judicial system and did not believe in democracy and the religio-political parties. The group is an alignment of TNSM and TTP. Swat valley, Bajaur Agency, Mohmand Agency. Tehrik-i-Taliban Swat/Bajaur/Mohmand was formed as an alignment of TNSM and the TTP. The framework and area of operation remained the same as that of TNSM. Also the financial resources, recruitment tools and demographics are the same as that of TNSM. The information on this can be retrieved from: http://www.dopel.org/TNSM.htm. Tehrik-i-Taliban Swat/Bajaur/Mohmand is an alignment of the TNSM and the TTP. It is a Sunni militant group that emerged in the Swat valley to impose the Shariah law the region and diminish democratic rule. It was against the religio-political parties. The group was a merger of the TNSM and TTP in 2007 in Swat valley. It emerged as an anti-state campaign that imposed the Shariah law in the region. The group took over the valley of Swat and provided law and order in the region. In December 2007, the Pakistan military launched an operation against the Taliban in Swat and flushed out the terrorists in 2009. The leader of the group Maulana Fazl Ullah escaped from Swat in 2009. The aim of the group was to impose Shariah and enforce an Islamic judicial system in the region of Swat. The target audience included people from Swat valley and, Bajaur and Mohmand Agencies. The group spread its message through illegal broadcasting of sermons and anti-state revolutionary messages through FM Radio. TNSM is a tribal militant outfit, established in 1994, which announced to enforce Shariah in Malakand region and Bajaur Agency. TNSM was banned in 2002. After the arrest of its leader Sufi Mohammad, Fazlullah became the leader and aligned his group with TTP in 2007 on the basis of same ideologies. TTP is a South Waziristan based conglomerate of various militant outfits. Various tribal affiliations makeup for a considerable strength within the organization, however due to tribal frictions the relations with local commanders remain volatile. It has established chapters in Khyber Pakhtunkhwa and tribal areas, which are led by local commanders. The organization is believed to have created cross-sectional working groups with other violent extremist organizations throughout Pakistan. These groups consist of 10 – 15 members each and have assisted in expanding the operations of the outfit. TTP has its own extremist version of Deobandi ideology, where it justifies the use of force and violence to enact Shariah law within the country. It also demands Pakistani state’s disassociation from the coalition for war on terror. Sufi Mohammad was the founder of TNSM and father-in-law to Fazlullah. He was an active member of Jamaat-i-Islami, which he quit in 1992. He inspired people to fight in Afghanistan Jihad. He remained the leader of TNSM until he was imprisoned after the proscription of TNSM. Sunnis accept the first four Caliphs as the rightly guided rulers who followed the Prophet (PBUH). Sunnis believe that the leader of the Muslim Community should be selected on the basis of consensus and on a leader’s individual merits. These are a significant group of Muslims present in the sub-continent, who adhere to the Sunni sect and follow the ideology of Imam Abu Hanifah. The school of thought is named after University of Deoband Dar-ul-Aloom in India. They believe in safeguarding the teachings of Islam, while spreading the religion through preaching. TTP has its own extremist version of this ideology, where it justifies the use of force and violence to enact Shariah law within the country. It also demands Pakistani state’s disassociation from the coalition for war on terror. Shariah which is the body of Islam is actually "way" or "path". It is the lawful skeleton within which the both the public and private aspects of life are monitored for those following Islam as their religion. Shariah deals with all aspects of day-to-day life, including politics, economics, banking, business law, contract law, sexuality, and social issues. There is not a strictly codified uniform set of laws that can be called Shariah. It is more like a system of several laws, based on the Qur'an, Hadith and centuries of debate, interpretation and precedent. Retrieved from: http://nacta.gov.pk/Download_s/__bannedOrgs.pdf Date of access: July 14, 2015. Daily Pakistan. TTP denies Pakistan’s most anted terrorist Fazlullah is dead. 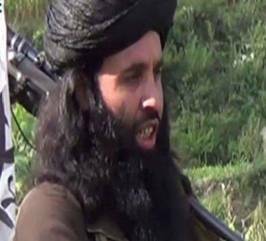 Retrieved from: http://en.dailypakistan.com.pk/pakistan/ttp-denies-pakistans-most-wanted-terrorist-fazlullah-is-dead/ Date of access: July 14, 2015. Global Security. Military. Tehreek-e Nafaz-e Shariat-e Muhammadi. Retrieved from: http://www.globalsecurity.org/military/world/para/tnsm.htm Date of access: July 14, 2015. Retrieved from: http://www.dopel.org/TNSM.htm Date of access: July 14, 2015. Retrieved from: http://www.dopel.org/TTP.htm Date of access: July 14, 2015. South Asia Terrorism Portal. Tehreek-e-Taliban Pakistan (TTP). Retrieved from: http://www.satp.org/satporgtp/countries/pakistan/terroristoutfits/ttp.htm Date of access: July 14, 2015. Mapping Militant Organizations. Tehreek-e-Taliban Pakistan. Retrieved from: http://web.stanford.edu/group/mappingmilitants/cgi-bin/groups/view/105#note28 Date of access: July 14, 2015. Retrieved from: http://dopel.org/LashkrIslam_1.htm Date of access: July 14, 2015.